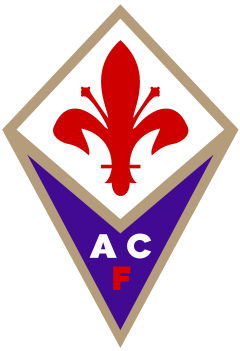 Home › Analysis › Spurs Fans meet your opponent : ACF Fiorentina ! This draw is going to be one of the most interesting fixtures of this Europa League’s season, for if both teams are struggling in their respective national leagues, they’ve been good during their European campaign. ACF(Associazione Calcio Firenze) Fiorentina or La Viola, commonly referred by the fans(due to their shirts’ distinctive purple(violet) color, is an Italian professional club, based in Florence, Tuscany, since 1925.The club have won two italian Championships, in 1955-56 and 1968-69, six Coppa Italia trophies and one Italian Super Cup. On the European stage, La Viola won the UEFA Cup Winners’ Cup in 1960-61 and lost the final a year later. Since 1931, Fiorentina have played at the Stadio Artemio Franchi, wich currently has a capacity of 47.290. The club’s owner, La Della Valle family, invested heavily in the summer of 2012, buying 17 new players and appointing Vincenzo Montella as head coach.The club finished the season in fourth place, qualifying for the 2013-14 UEFA Europa League. Last season, same story; fourth in Serie A plus Coppa Italia runners-up, losing 3-1 to Napoli in the final. Tottenham and Fiorentina, are going to play their first ever official game, but they’ve already have two former friendly encounters in their past : the first one for Bill Nicholson’s testimonial( 2001) 3-0 for Spurs( Ferdinand 15′ Poyet 30′ Iversen 50′) and a second one in August 2010. 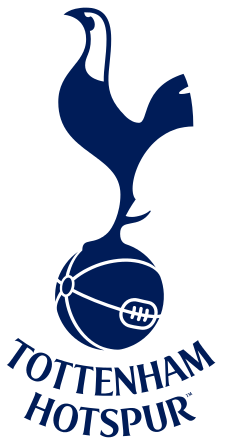 Another Spurs win, 3-2( Pavlynchenco 27′ Keane 57′ 89′) and Gilardino 7′ Ljajiic 36′ for Fiorentina. The other “could be” star player, is the Colombian winger, Juan Cuadrado; is he worth the 35M Euros price tag ? Sometimes yes, but he still needs to prove that he’s able to lift the team when needed. There will be at least two well-known names in the italian squad, loanees Micah Richards (Man. City) and Marco Marin(Chelsea). Both of them, joined La Viola at the opening of the campaign, but they haven’t impress enough to gain first team regular appearances. Marin’s got four, all of them in Europa League, while Richards has eight appearances, with five european games. Will they be first team contenders for the game at White Hart Lane ? Fausto Salsano, who worked with Richards at Man. City, declared to TMW that Fiorentina, are favorites against Tottenham and that the two loanees could be the players to focus on, to defeat Spurs. Editor’s note: Juan Cuadrado, joined Chelsea during the last Winter Transfer Window and replaced by Mohamed Salah( Chelsea); Marko Marin won’t be on the gamesheet either, for he has been loaned to Belgium’s Anderlecht.